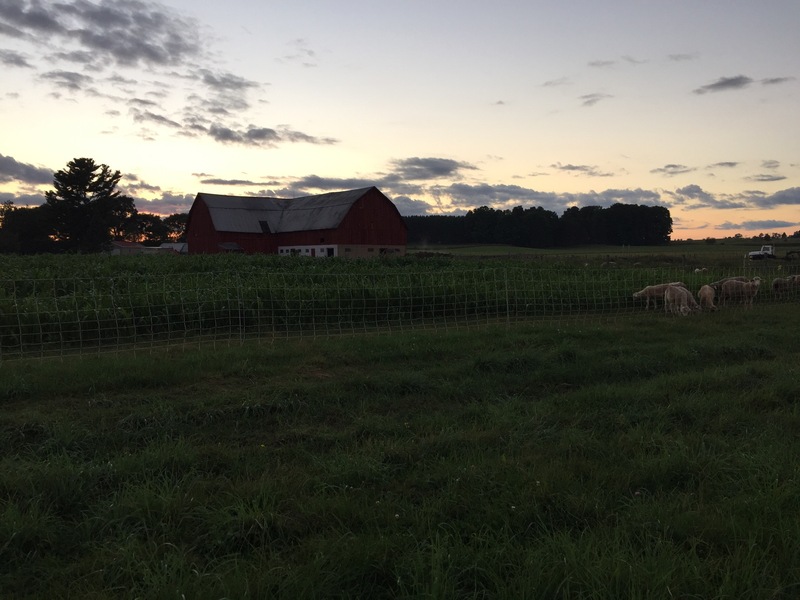 Our family farms to provide food and fiber for your family and ours. Our lives in farming are a little bit cyclical. Every winter we have meetings, paperwork to catch up on and we welcome new lambs in February and March. Seems simple, right? Our farm meetings throughout the state and nation are designed to help us continuously learn about business trends, plus connect with other farmers and agricultural professionals. One of the reasons we keep our sheep outdoors is that it’s easy to feed them enough (hay bales rolled out on the ground) for us to be gone a few days in a row. Then there’s paperwork. We have industry publications that sometimes get ignored when we’re working outdoors in summer and autumn, so we catch up on some reading during winter. We also make sure our records are in order for our state’s voluntary environmental protection program or government programs we may be enrolled in. And we track all receipts that piled up so that our taxes can be filed on time. When we expect lambs, a few tasks get more intense. We have to shear the sheep a few weeks before they’re due (this is for their health and better wool quality). 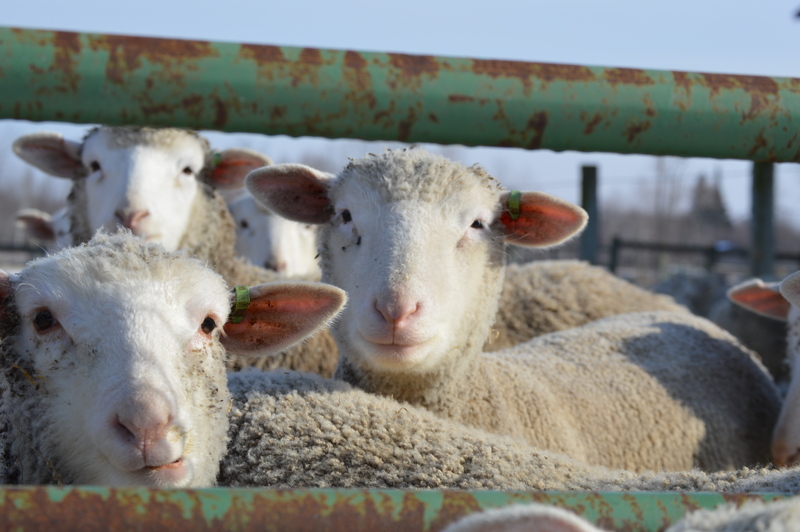 Shorn pregnant sheep then get moved into the barn (we don’t want lambs being born outside in a Michigan winter!) and they get fed a different diet to get them ready for supporting lambs. If each sheep gives birth to two lambs, we end up having a lot of mouths to feed. I’ll share more about that later. We’ve been talking about preparing this mental recipe for years. Without further ado, I give you delicious, spicy, lamb stuffed peppers. Preheat smoker/grill to 300°F using hardwood lump charcoal. Soak cherrywood smoking chips (this can be done up to 8 hours in advance to create the best smoke). Set up grill for indirect cooking/grilling (stone in place between charcoal fire and rack, or charcoal on either side of grill, not directly below rack). In a large non-stick pan on the stove, brown the ground lamb meat. When lamb is cooked, add 1/2 diced red onion, 1/2 diced white onion, 2 diced green onions and 1 diced jalapeño. Mix well and allow vegetables to cook for a few minutes. Add cherry barbecue sauce and your selected spices. Stir well to evenly disperse the flavors. Top with shredded cheeses and stir again. Divide mixture into four cored-out peppers and top with remaining diced green onion, cilantro and extra cheese if desired. Grill/smoke for 15-20 minutes on a flat pan. Serve hot, with a cold milk or beer. We used a small amount of olive oil in the pan to brown the ground lamb. Don’t. The meat has enough natural juices that it’s not needed. We spooned all that oil into a glass before the meat mixture went into peppers. We overestimated the amount of peppers we could stuff with this ingredient list. See that we had eight peppers prepared? We only needed four. Which was great, because we only had three eaters. Before I write any more, I should say that this farmgirl returned to the city only temporarily. 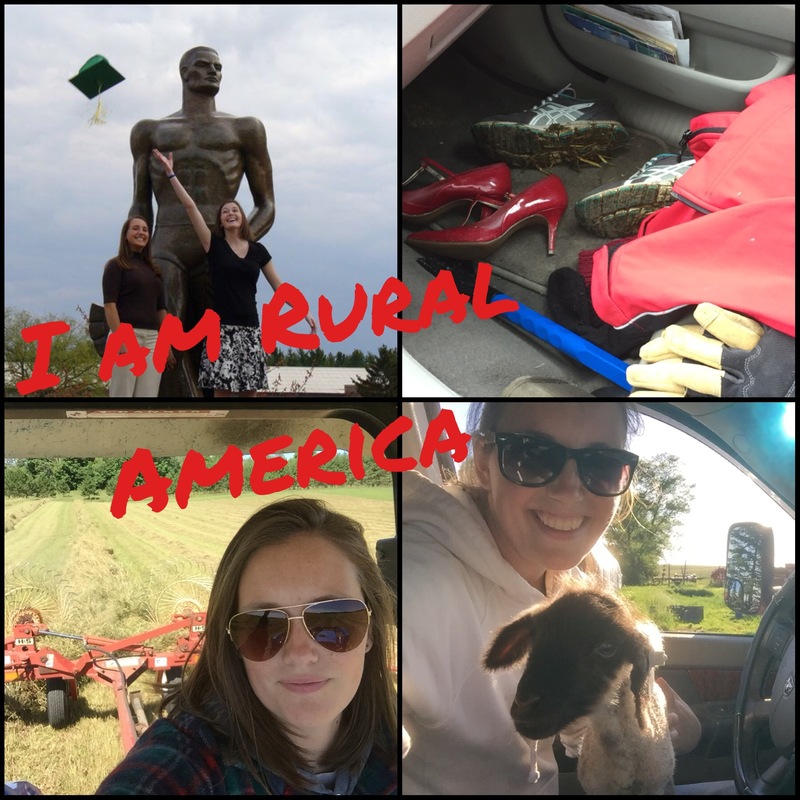 I used to work for America’s farmers and ranchers from an office in our nation’s capital. As you can imagine, you can take the girl out of the country but you can’t take the country out of her soul. I came home and bought a farm. This week I attended a conference in New York City, a place I had never been before, and I traveled solo. Key questions included 1) what should I wear, 2) what’s the best transportation option from the airport and 3) who will I meet? Those questions probably should have been mentally reversed but I didn’t want to stand out like I don’t belong. Even though I don’t belong. Not by a long shot. 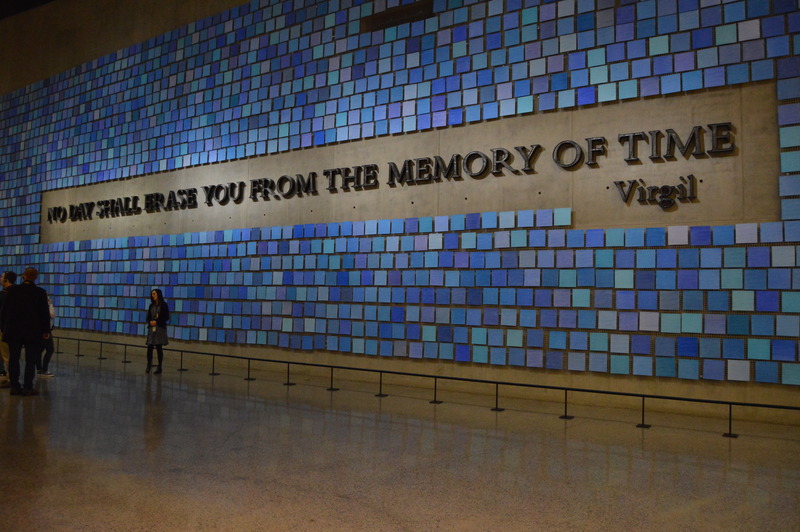 Where I found some mental clarity, by design I’m sure, was at the 9/11 Museum and Memorial. This was the final place I needed to visit where the planes had crashed on September 11, 2001. Underground, people rushed to work using the train systems. 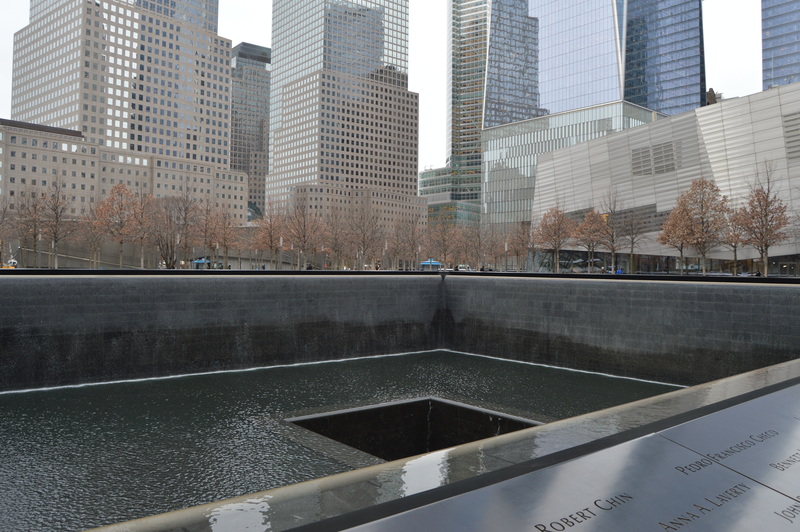 Above ground, trees have been planted around huge voids in the footprints of two World Trade Center towers. The difference in the two settings, within mere feet of the other, was stunning. We, in rural America, can often feel disconnected from what happens in cities. 9/11 was something that united all of us. That’s all I have to say about that. What’s nice about visiting the city is that I always have several friendly faces to greet me when I return to the farm. Navigational skills are essential: I kept being asked, “Are we close to our destination?” Once I made a final turn, he was able to navigate me the final six miles. Be goal-driven: When it’s time to build a toy contraption, one cannot be bothered with things like 1) bathing and 2) bedtime without a meltdown. Stay true to core values: “Do you EVER go to church?” As neighbors, he must see my car in the driveway when his family goes to church. Later he asked me, “Do you even know any prayers?” For the record, God hears your prayers wherever you are. Responsibility is key: He made sure I knew the order he needed to put on his hockey gear and made absolutely sure that his safety equipment was explained. Understand the importance of mentoring at a young age: “I help my papa,” he told me about working with his grandpa to do farm chores. Family is everything: “You don’t even have a husband.” But he was satisfied in knowing that if I ever get married, he’ll receive an invitation. 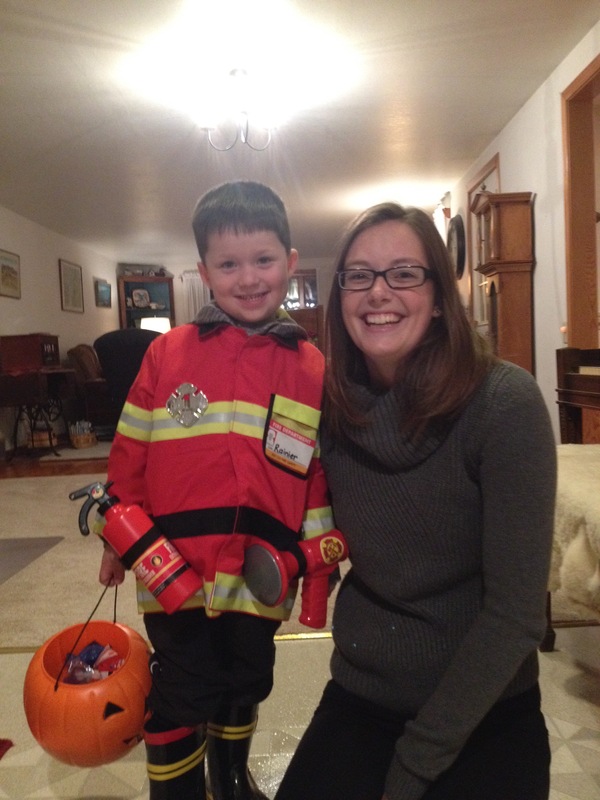 What lessons have you learned from the kids in your life? I sat watching, stunned, last night at the clear voice of middle, rural America. The map said it all – our cities differ in countless ways from what you find in rural America. My polling office was the busiest I’ve seen my whole life. Personally, I was glad more than two names appeared on the presidential candidate ballot. And personally, there were other races and proposals I was interested in that have more direct impact in our tiny town. Anchors fumbled for explanations for why their polls led the country to believe one candidate was a shoe-in to the White House. My take: with the exception of primary elections, one poll matters and it takes place the first Tuesday after the first Monday of November. Focus groups, surveys and online trends do not get counted. Anchors admitted they underestimated rural America…and often referenced “uneducated” rural America. WHAT?! Last I checked, my family, friends and neighbors are some of the most knowledgable, resourceful people I’ve met. It’s one reason I moved back here post-college and post-DC living. Farmers alone are remarkably innovative and hey, a lot of them have college degrees. Despite the differences in our communities, we are one nation. We have so many things to celebrate as free people. I’m especially thankful that we live in rural America, where we continue to tie our boots each morning and go to work doing what we love. You guys. I finally did it. I cleaned my house. We’re talking scrubbing floors and picking up clutter. We’re talking sorting mail into one pile of industry magazines that need to be read. That pile, stacked neatly on my floor, reaches above my knee. Yikes. 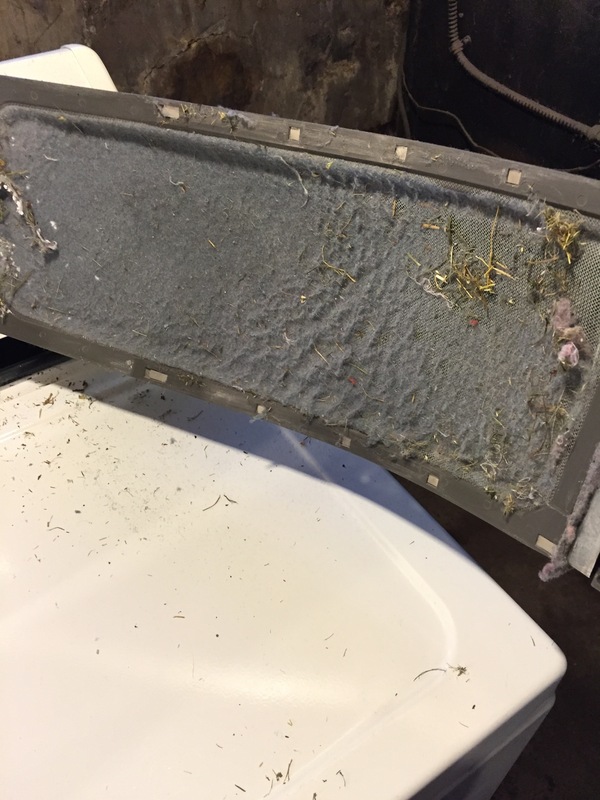 You know that sign that says, “Excuse the mess, my kids are making memories?” My sign should say, “Excuse the mess, I’ve been working on the farm.” Except if I had a new sign to hang in my house it would get stacked on the table next to the paperwork that needs filing. Another day. Last weekend we were part of hosting a Lamb and Wool festival in our little town for the 17th straight year. One component of the event is a sheep shearing school. 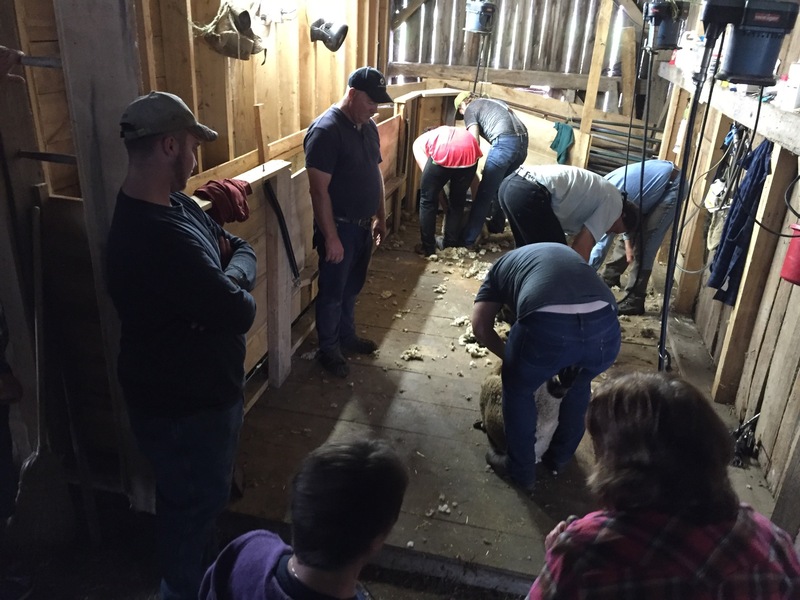 This training provides beginning and intermediate shearers with hands-on, step-by-step instruction to handle a sheep with care as it is shorn. 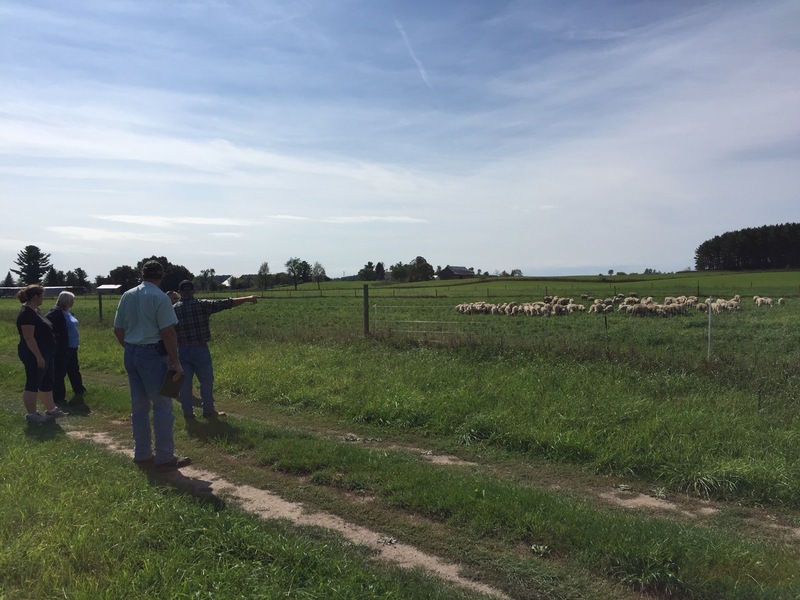 Another thing that we do is offer a brief farm tour to discuss pasture and animal health. The questions that come from this tour help us consider things from another perspective. However, quite possibly the best-kept secret of the behind-the-scenes festival organization is our vendor dinner. Each vendor is invited to relax and enjoy fellowship with a lamb dinner. This year Sherrie came up with one of the best menus (we probably say this every year and every year it’s true). In a skillet, brown ground lamb with taco seasoning. 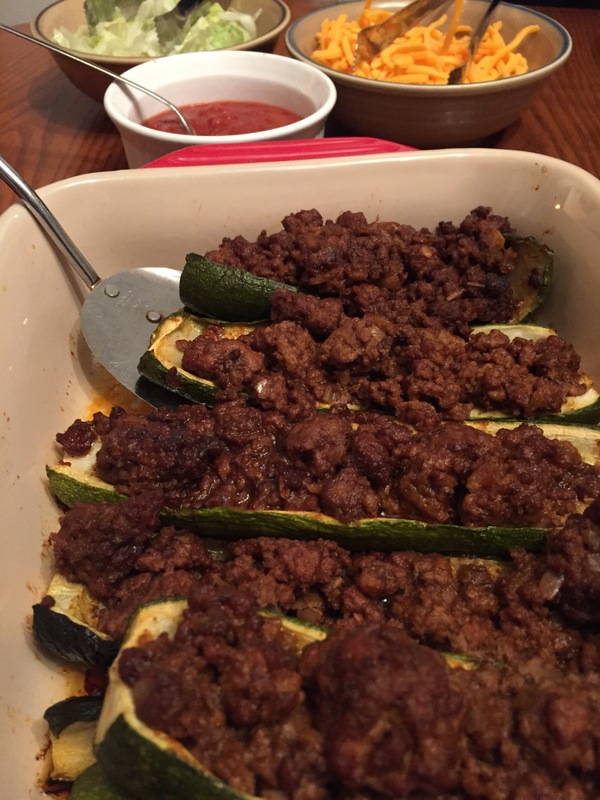 Set aside for placing into zucchini boats. Trim the top and bottom from medium-sized zucchini, then slice in half longways, scoop out center contents. 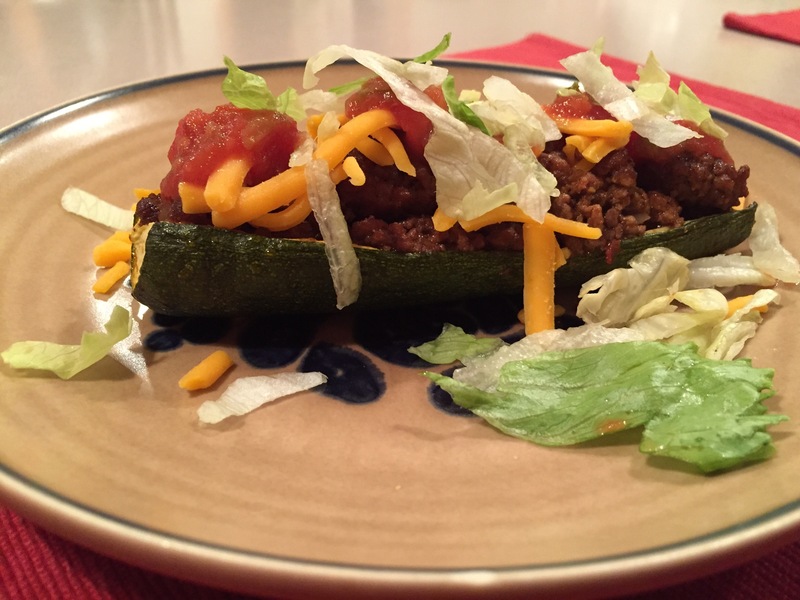 Shred lettuce and cheese enough to top each taco boat, and serve with salsa.